We are looking forward to a week of double digit weather not triple digits! Pretty soon the nights will be cooling off which brings the trout up closer to the shore for longer periods of time. They have no choice but to stay under 25' when the surface temperature is at the hottest part of the day. Brady & his Grandpa trolled a Mepps Lure on the east side of the lake in search of trout and hooked a big catfish instead. 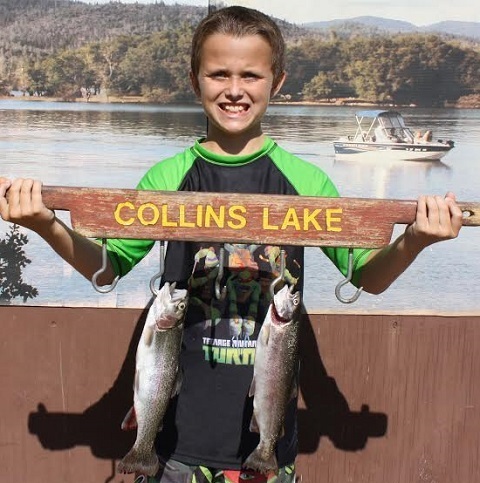 Jacob Hunter trolled near the dam on flashers and worms and did catch two very nice trout. The catfish ruled the photo board this week though! 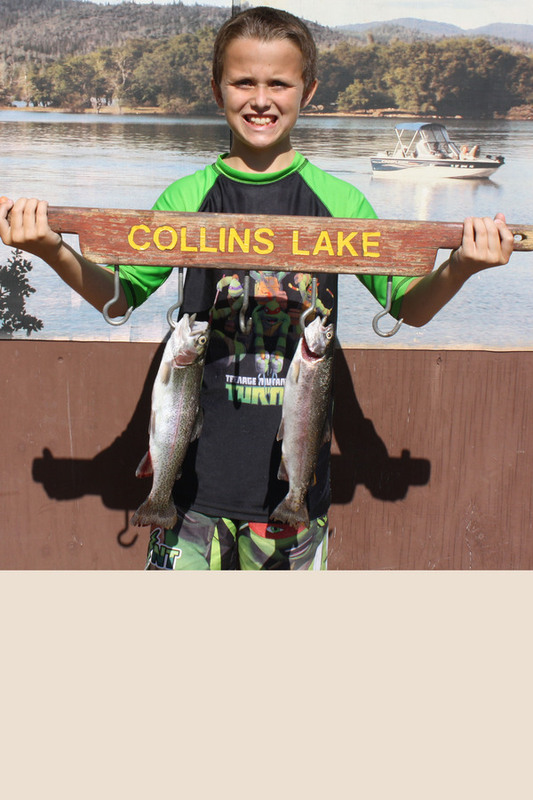 Joseph & Aaron from Esparto fished at night in Elmer's Cove and each hooked a 2 lb. 8 oz. catfish. They caught one on a crawdad and one on a nightcrawler. Johnny Woods from S.F. caught a 9 lb. 8 oz. cat in the Open Area on a worm. 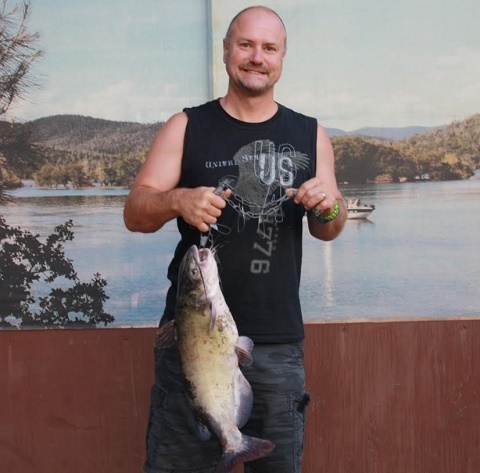 Ross Kugler from San Jose hooked the biggest fish this week, it was a 10 lb. catfish he suckered in with anchovies off the swim beach. 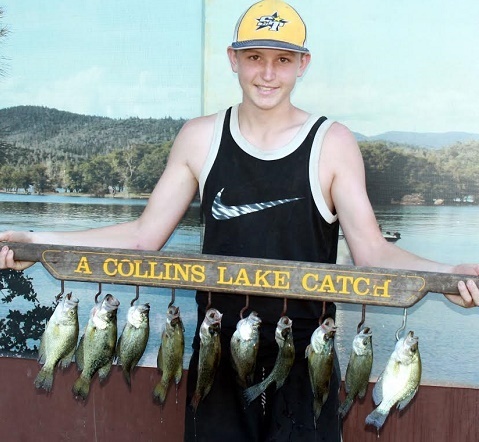 Spencer Kugler (son of Ross) from San Jose brought up a huge stringer of Redear sunfish which he caught from the dock. 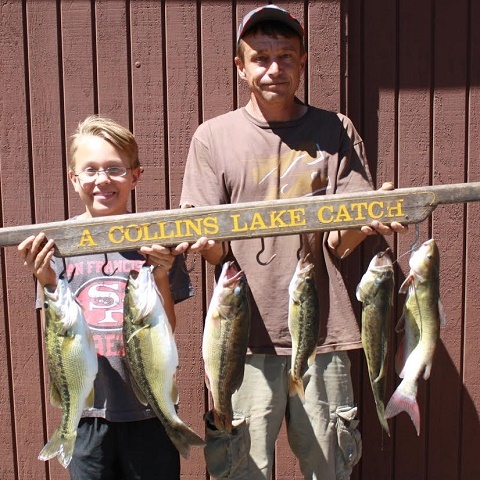 Zach & Justin Long caught a limit of bass (biggest 3 lb. 5 oz.) and a bonus catfish as well. They fished the shoreline by the dam using worms. 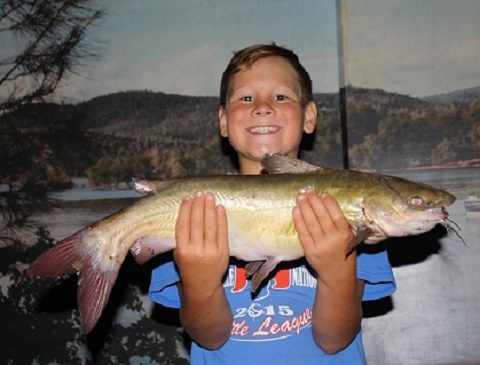 Tyler Sampson from Vacaville looked pretty happy to display his catfish, a 4 lb. beauty which he caught in Elmer's Cove on salmon eggs. 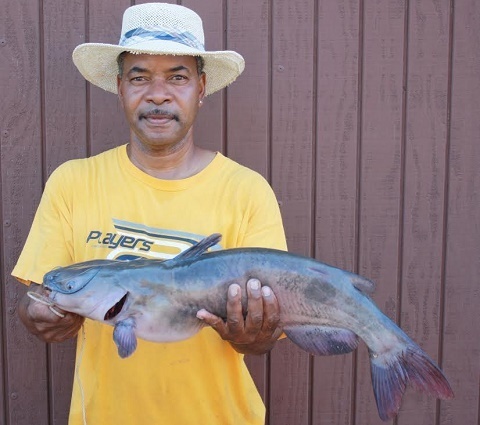 Keith & Sterling Looney from Forestville caught a 6 lb. catfish on bacon, close to their site (after breakfast probably)!!! 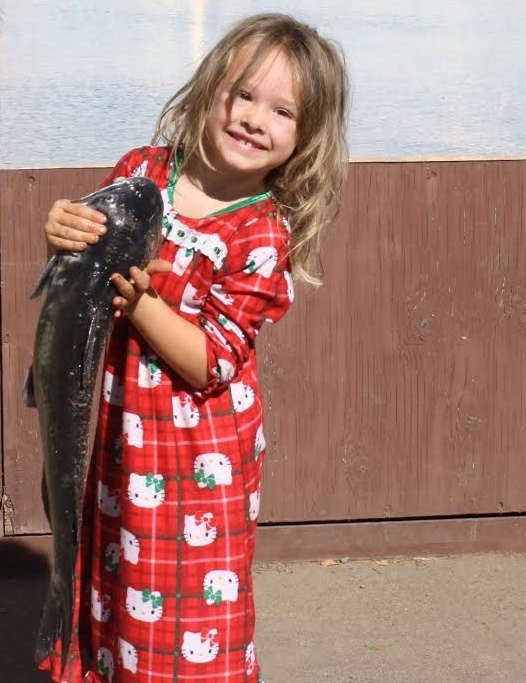 Collins Lake cats dominate fish photos!